About 50% of the F&S products are used in the medical area, like lung ventilation (anesthetic and intensive care), shock wave lithotripsy (kidney stone fragmentation), medical endoscopes, medical lasers (dental and optical), UV-therapy, bio-feedback systems, and blood pressure measurement. Among the industrial applications are machine control, laser welding, info panels in buildings (with IE or video playback), POS systems, clock-boxes, industrial ovens, ticket vending machines, entrance control systems, engine control, GPS navigation in commercial vehicles, and even naval applications. 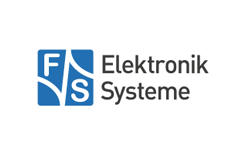 Many well-known customers in Germany and Europe are convinced by F&S products, which is reflected in a commercial increase of 20-30% per year.